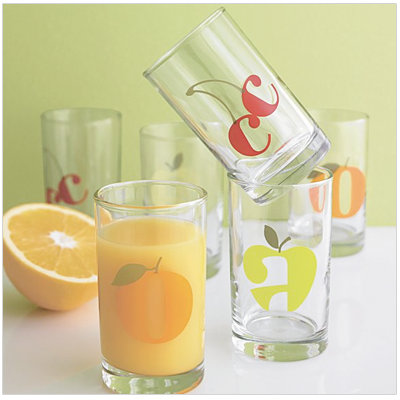 How fun are these typography glasses? At just $2.95 per glass, they'd make a wonderful addition to your summer table settings. Available here. Awesome, now find us some place-mats and kitchen calendars!